I hope you're having a wonderful weekend. The perfect time to make your home feel cosy! It's getting increasingly uncomfortable outside, and more and more comfortable inside. Fairy lights, candles, autumn decoration... But sometimes we just have a bit too much of it. Today we tend to anything that adorns our home – I want you to reduce your room decor to only your favourite pieces. I know, it's hard. But your home shouldn't be a collection of clutter, but a collection of things that inspire you and that make you truly happy when you see them. Let's go! Do I like the way this room looks? Do I like looking at this decorative item? Does it lift my mood? Does it weight me down? Do I only keep it because it's been with me for so long? Am I tired of seeing it? Does this item still seem like it's worth saving? Could it make someone else happier than me? Pick only one room to work on at a time. Do not take any decluttering steps in another room until you are done with these steps. I recommend starting with your bedroom. 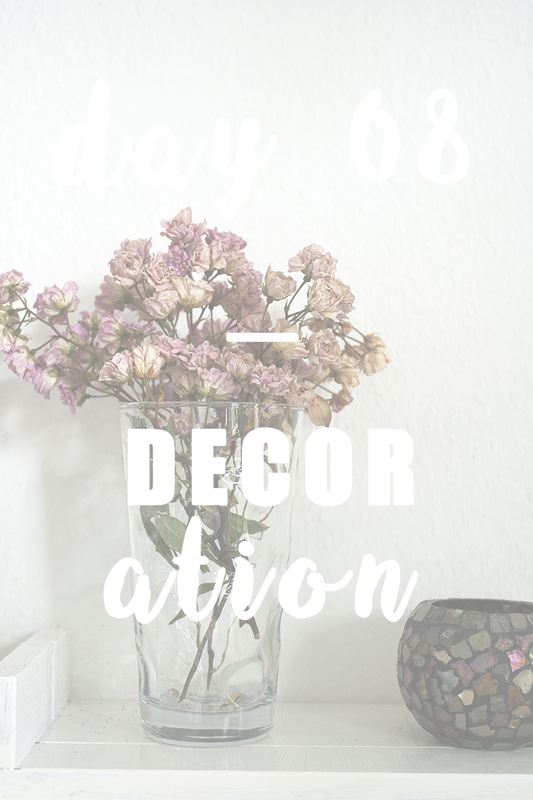 Remove everything that has to do with decoration from your first room and spread out on the floor or a large table for a better view of everything. Pictures, candles, vases, flower pots, lamps, knick-knacks, etc. Pick up your decorative pieces one at a time and decide how you feel about it. Put anything that doesn't make you feel happy or inspired into a box. A great method to reduce your room decor is to pretend you are about to move. Stage your house or apartment to sell by making it look as cosy, tidy and spacious looking as possible. Anything that you would usually "hide" from the surveyors might be a piece that you no longer need in your home. 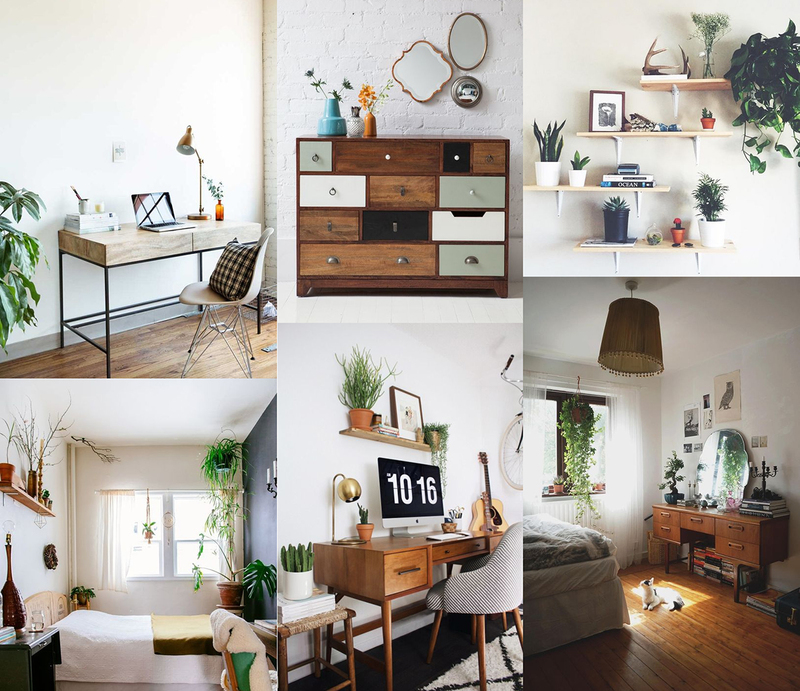 Personally, I've found that I like my decor to be mostly plants, crystals, wood elements and mirrors, such as in the collage below. But we each have our personal style, so find yours and create a living space that you love and feel comfortable in! I found that putting back the decorative pieces one by one is the best way to make sure you only keep what you enjoy. Add a few of your favourite pieces back, stop and take a picture. See if you like it that way before adding another item. Each time you add something, step back and ask if it's enough. You will know when it's enough when you feel pleased with the way it looks. Keep in mind that decorative items need white space around them so they can be seen. Just like you need negative space (also known as open space or white space) in photography, you need distance and space between your decor objects – otherwise they will compete with each other for your attention. Not all walls need something on them! Donate any decoration that you no longer want to clutter your home with. If you have no use for certain decoration now, but can't let go of it yet, store it in a box in your basement and hold onto the box until the end of next year. Do another decluttering session to see which of the pieces you didn't miss during that year. Discard any pieces that are broken or too personal to donate (e.g. old postcards, photos or kindergarten drawings). 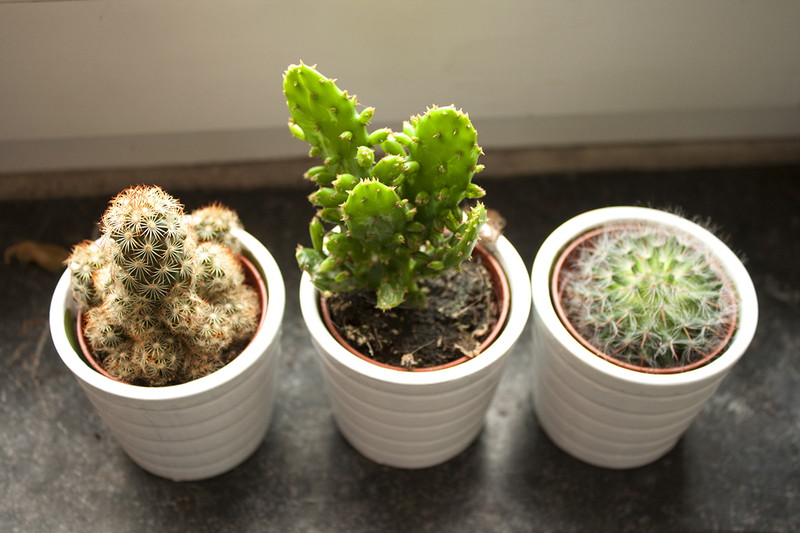 Congrats on making your home a cosier place! How does it feel? Now enjoy the rest of your day. See you tomorrow for the next round!